Independent artist Korrosive is signed to and is CEO of his own label MRE Entertainment with distribution through Ingrooves/ Fontana. Korrosive is also working in association with Prime USA Records (PUSAR). “Club fully packed” is his newest hit and without surprise Korrosive was recently featured on the front page of the extremely high traffic website, Windows Media Guide for his new single. Korrosive’s latest release receiving is receiving FM airplay at major FM Radio station, Web Stations and more. Currently Korrosive continues climbing the charts with his charisma, charm, and class. All of which are characteristics most MC’s, Hip-Hop and Rappers don’t always posses; making his stand out as a rarity. With the dog-eat-dog world that the music industry consists of, Korrosive’s classy qualities a welcome change to most. Then again, Korrosive is not your ordinary artist. Independent artist Korrosive is signed to and is CEO of his own label MRE Entertainment with distribution through Ingrooves/ Fontana. Korrosive is also working in association with Prime USA Records (PUSAR). “Club fully packed” is his newest hit and without surprise Korrosive was recently featured on the front page of the extremely high traffic website, Windows Media Guide for his new single. 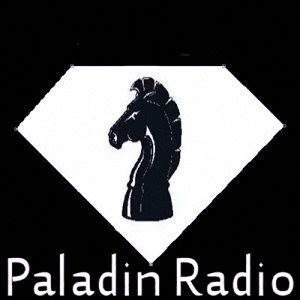 Korrosive’s latest release receiving is receiving FM airplay at major FM Radio station, Web Stations such as (wpal -paladin radio) and more. Daring to be different by bringing you cutting edge music, whether it’s his new release ” Let me see you “, the female’s favorite “Don’t Stop,” or the “Club Fully Packed”, he’ll capture your attention once the beat drops and the lyrics set in motion. Every time crowd rocker Korrosive hits the stage, He owns the crowd and the stage he stands on with his dominant and intoxicating sound. So, grab your ipod or whatever it is you’re listening to these days, and every chance you get, treat yourself by turning up the bump n slap sound of hip hop and rap’s ultimate MC, ” Korrosive” and your ears will not be disappointed.